Dr Peter Morley and the Emetheni team offer a wide range of anti-ageing, cosmetic and beauty treatments. 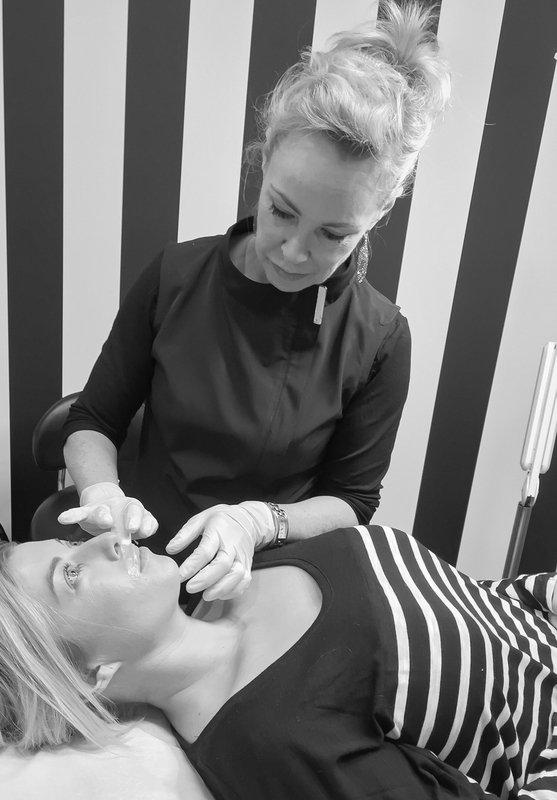 We specialise in a holistic approach to treating all areas of the ageing process from skin, muscle causing wrinkles, volume loss and minor corrections to weight loss and fat sculpting. At Emetheni we use only the best products and the latest technology from Australia and around the world. We are attentive to each patient’s individual needs and goals and offer personalised treatment plans. We believe in achieving a natural rejuvenated look that preserves your attractiveness over your lifetime. Our aim is to minimise the ageing process, ensuring you look and feel rejuvenated and refreshed all year round. We have attempted to make this site informative and user friendly, however not all of our treatments are listed. For more information there are links available on most pages which will direct you to information sheets or company web sites of our suppliers. If you require more information please call 07 5576 0285. For quotes and pricing please come and visit our friendly clinic for your individualised treatment plan as it is difficult to assess your requirements over the phone. Dr Peter Morley is a highly experienced doctor. He has been awarded a fellowship by both the Cosmetic Physicians College of Australasia and the Australasian College of Aesthetic Medicine, which confers specialist status in cosmetic medicine. Dr Morley also holds a diploma in Skin Cancer medicine and surgery. He has more than 20 years experience in cosmetic medicine and is a medical trainer for Allergan the world’s largest supplier of filler and anti-wrinkle injectables. Dr Peter Morley has been a practicing doctor for over 30 years. Peter studied medicine at the University of Capetown, practiced in South Africa and Canada before immigrating to Australia over 25 years ago. Peter is passionate about practicing anti-ageing and cosmetic medicine and completed the Diploma in Anti-Ageing Medicine through the American Academy of Anti-Ageing Medicine in 2005. Regularly travelling overseas to further his career and attend cosmetic medicine conferences in the USA, UK, Asia and in Australia. He was one of the first doctors in this country to complete the Diploma in Cosmetic Medicine through the Australian College of Cosmetic Medicine. Peter’s field of expertise and experience covers cosmetic injectables, laser and light based therapies, acne and skin therapies and facial thread lifting. Dr Morley is also highly skilled in the area of both cosmetic mole removal and in skin cancer medince, performing skin checks and skin cancer surgery. Peter, with his wife Kitty as Practice Manager, started Emetheni as a specialist professional cosmetic medicine clinic in 2005. Thank you for making an enquiry to see Dr Peter Morley, we will be in touch shortly to confirm your appointment. Dr Tracey King is a General Practitioner who has focused her skills in Cosmetic Medicine since 2004. She started her training Subiaco in WA and in July 2011 extended her practice to Cosmetic Images in Mt Lawley WA with who she still has an active involvement despite living on the Gold Coast in Queensland. Dr King’s main interest is in injectable treatments for rejuvenating the skin and volumising and contouring the face, as well as wrinkle relaxers and wrinkle fillers. She has extensive experience with large volume filling which is commonly called “the liquid face lift”. As a Consultant Trainer in wrinkle relaxers and winkle filler treatments, Dr King frequently lectures on these and other cosmetic treatments to the public, students of registered training organizations and doctors. Dr King completed her medical training at the university of Western Australia and her postgraduate training in General Practice in WA. She also has a Bachelor Degree in Applied chemistry from the Queensland Institute of Technology (now known as the Queensland University of Technology). Dr King moved to the Gold Coast in January 2014 to be with her husband and two daughters. She has an extensive family network throughout south east Queensland. Thank you for making a booking enquiry with Dr Tracey King. We will get back to you as soon as possible. Sign up to our exclusive newsletter for updates and offers from Emetheni HQ. Thank you for joining the Emetheni mail list, exclusive offers coming to your mailbox shortly.